ever a time to let your God-given imagination have its way, this would be the moment. capable of facilitating to honor and glorify their Creator. they are the very same beings known as cherubim. as both cherubim and seraphim. As the expression goes: “that covers all the bases”. high level, I can’t help but believe that the animals in the Garden of Eden were of superior intelligence. Governing the universe as God’s representatives, the cherubim have all the knowledge required to do so. incense which is the prayers of the saints – our fervent prayers of petition and our thankful prayers of joy. 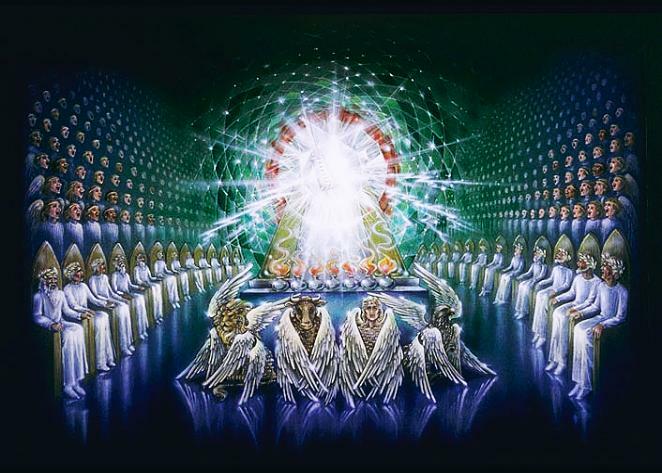 cherubim say: “who was, and is, and is to come”. bliss in our Creator’s flawless presence. Let your imagination roll. Enjoy the moment.